Over the decades, rapid advancements in laser technology have led to the proliferation of laser products in the commercial and industrial markets. Laser equipment provides manufacturers with notable capabilities; however, laser optical components are very sensitive and prone to frequent damage. 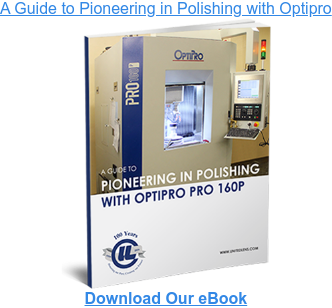 Processes such as laser welding, cutting, and drilling can take a toll on your equipment. To combat these common, yet greatly detrimental issues, professionals rely on laser debris shields. What are Laser Debris Shields? Also called protective windows or cover slides, debris shields are used to protect the target-facing optic components of manufacturing lasers. By keeping contaminants such as dust and shrapnel away from laser optics, debris shields help extend the service life of laser systems. Laser debris shields are available in diverse specifications, which will depend on the specific needs of your application. At United Lens Company (ULC), our team is well-versed in custom debris shields, having manufactured them for years. 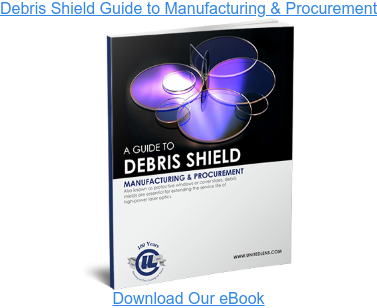 To share more about our manufacturing process, we have created a Guide to Debris Shield Manufacturing and Procurement. This free resource details the importance of high-quality debris shields, while informing readers about the specifications of ULC’s debris shield products. Our shields are produced in several diameters and thicknesses, with tight tolerances, and are tailored for various laser wavelengths to optimize transmission with Anti-Reflective coatings. 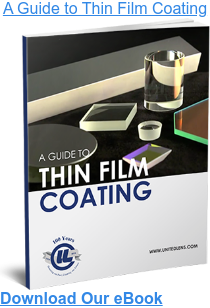 ULC’s debris shield guide also provides helpful tips for getting the most from these products. Even the smallest particle of dust can hinder your laser equipment. Our free resource details the importance of high-quality debris shields, while informing readers about the specifications of ULC’s debris shield products. ULC is the one-stop solution for precision optics products since 1916—please feel free to contact us for more information.